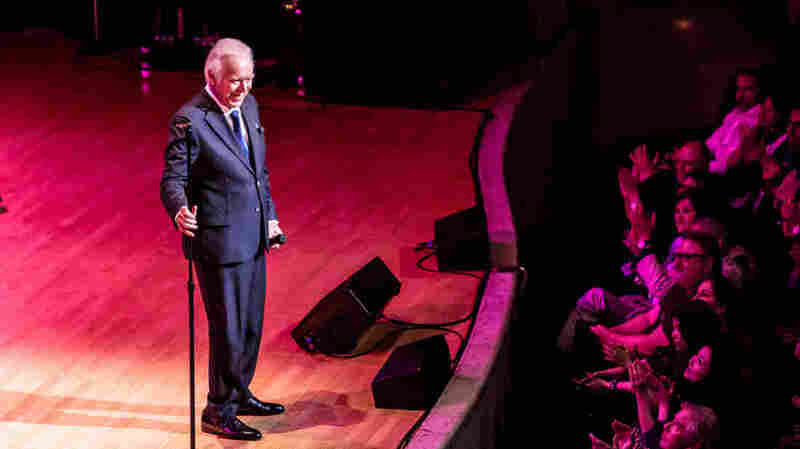 At 78, Carlos Do Carmo, The 'Sinatra Of Fado,' Makes His New York Debut Carlos do Carmo helped popularize fado, Portugal's national music, and gave it a political edge when Portugal's dictatorship fell in 1974. This past weekend, he brought fado to New York. Carlos do Carmo performs in New York for the first time at Town Hall NYC on April 7, 2018 as part of Fado Festival New York. 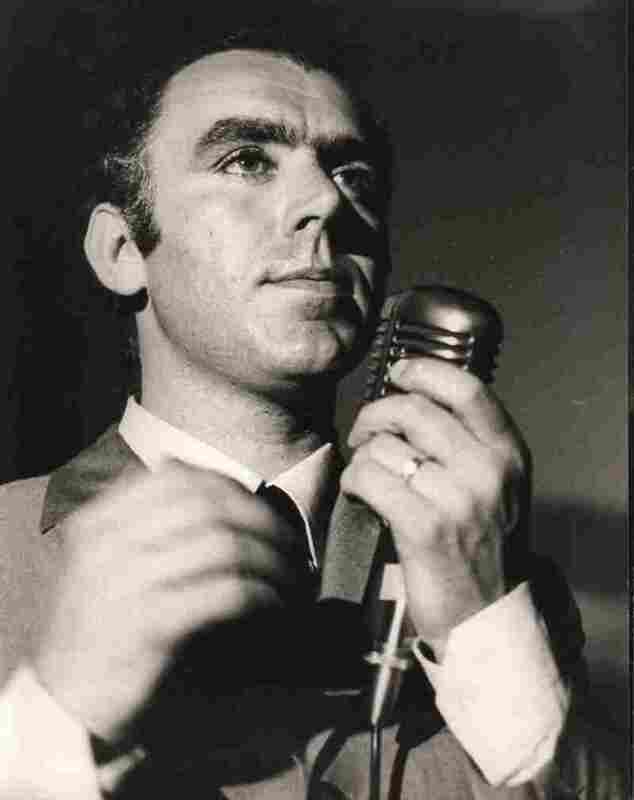 Carlos do Carmo is known as the Sinatra of fado, Portugal's national music. In 2014, do Carmo became the first Portuguese artist to receive a Latin Grammy Lifetime Achievement Award. This past weekend, the 78-year-old singer made his New York debut at Town Hall NYC as part of Fado Festival New York. Often called the Portuguese blues, fado (literally, "fate") is emotional music. "People think that fado is connected with sadness only. It's not true," do Carmo says. There is fado menor — sad fado in minor — joyful fado and really joyful fado, sung in a major key. A corrido is an example of really joyful fado. "The 'corrido' is something you even can dance and there's got to be a smile when you sing it," do Carmo says. Carlos do Carmo grew up in Lisbon, Portugal and is the son of Lucília do Carmo, one of the great singers of the golden age of fado, which began in the late 1920s. His mother's club in Lisbon became a gathering place for all of the older fado singers, says musicologist and author Rui Vieira Nery. "He absorbed that tradition, but then he went on to re-process that heritage and he was always very curious about the interaction between fado and other genres," Vieira Nery, the author of A History of Portuguese Fado, explains. Vieira Nery cites the singer's keenness on Frank Sinatra and "the crooners." "Sinatra was the best fado singer I ever heard," do Carmo says. "I mean it. You heard Sinatra. The same song in different records — never the same song. That's fado." Do Carmo took Sinatra's approach and applied it to his own records. Until do Carmo came along in the early 1960s, fado was usually performed by a singer and two guitarists. He brought in the orchestra.Vieira Nery says do Carmo also invited musicians who were outside the scene to compose music for fados. "He managed to attract people from pop rock, from jazz, from art music and convinced them to actually try to get into the language of fado and write melodies for fado, just as much as he attracted some of the very best contemporary poets to write for him," Vieira Nery says. Ary dos Santos was one of those poets. In 1977, three years after the collapse of Portugal's Estado Novo dictatorship, the two men collaborated on an album called Um Homem na Cidade — A Man in the City. In the 1970s, Carlos do Carmo brought fado music out of its authoritarian past. "We lived in a dictatorship for almost 50 years. There were censorship. So if you sing under censorship, you can't express yourself. And I lived that, I know what I'm talking about. It's terrible, it humiliates you," do Carmo says. "My good friend Ary dos Santos, that was a very, very good popular poet. We had an idea together: Let's make an album about Lisbon in freedom." Before that album came out, fado had become old-fashioned, aligned with the regime even as do Carmo was pushing its boundaries. Um Homem na Cidade was a watershed. It was a call to artists, poets and musicians according to director of the Museu do Fado, Sara Pereira. "Carlos was fundamental, so that [the people] could understand that fado ... it can also be a song of intervention, can also be a song of protest," she says. Vieira Nery believes that do Carmo has helped ensure that the fado tradition will live on. And whether a fado is sad or happy, do Carmo says the music has to be deep; the lyrics have to be strong and go straight to the heart. "For me, it's life, love, it's my entire life, fulfilling my dreams, the love of my hometown, the love of my country," do Carmo says.